The Regency Park Hotel offers a peaceful and tranquil setting in the Royal County of Berkshire between the towns of Newbury and Thatcham. The Health Club is a members and residents only club, where you can be assured of a stress free visit in tranquil surroundings. The superb and extensive on site facilities include a 17 metre indoor swimming pool, state of the art air conditioned PRECOR gym, spa pool, steam room and sauna. 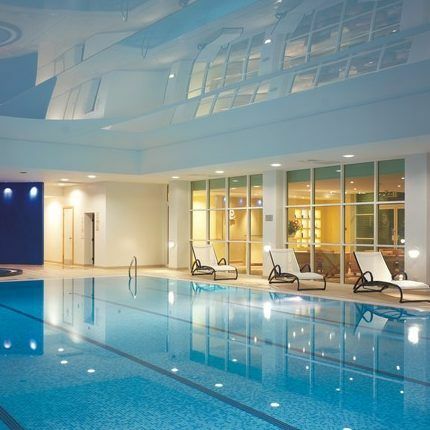 This voucher entitles the holder to experience the facilities of the Regency Park Health Club for five individual days (Monday – Sunday between 9am & 6pm), with access to all the facilities to relax and unwind.